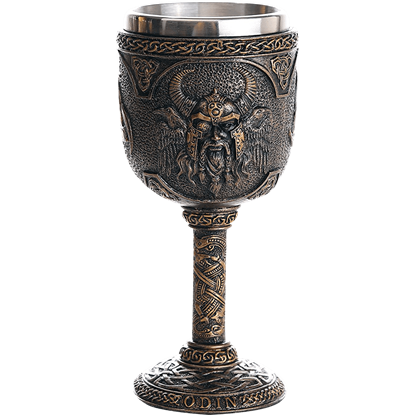 The Albrecht Durer Chalice is crafted of pewter and features a raised-relief decoration. 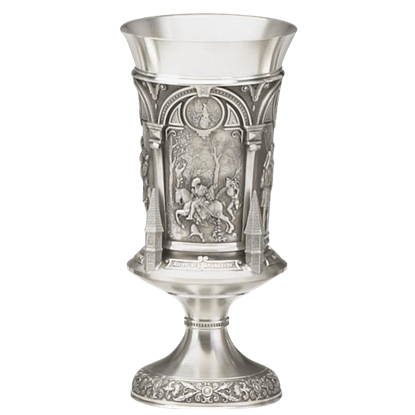 The body design consists of panels of works by this Renaissance painter. Pillars, archways, portraits, and his signature serve as decorations. 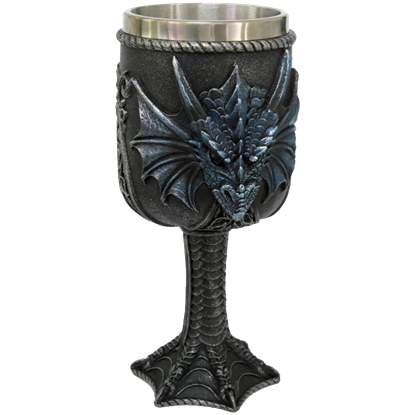 Feast with a dragon when you add the Blue Dragon with Sword Goblet to your fantasy drinkware collection. 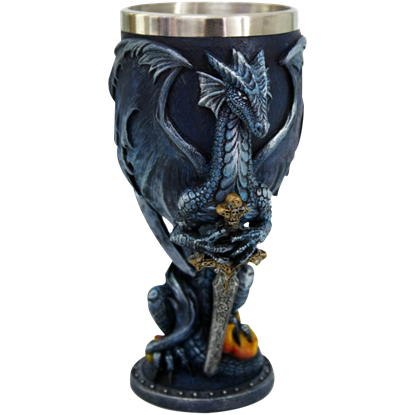 This hand painted fantasy goblet features a blue dragon statue accent forming its stem, its wings and head framing the cup. There is nothing like being inside a cathedral that has been around for thousands of years. 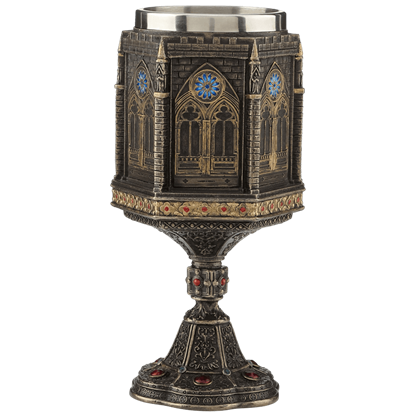 This Bronze Cathedral Chalice is like you are drinking out of a cup from history with its ornate bronze sculpting and dynamic painted accents. 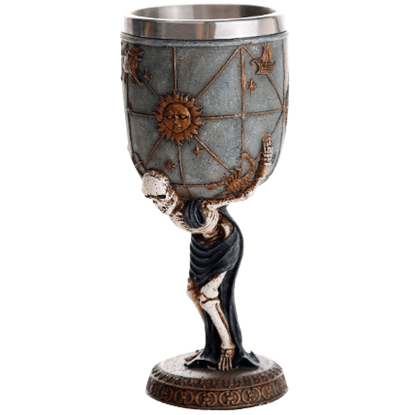 Carry this drinking cup with you or remark on its unique charm when admiring your home or office decor. 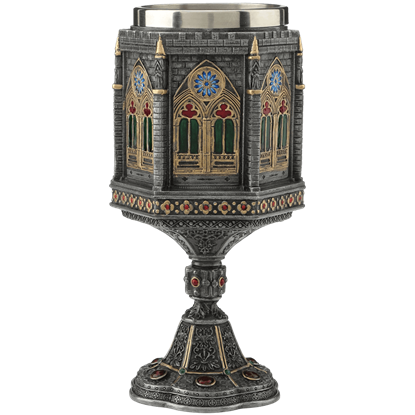 Our Cathedral Wall Chalice is made from cold cast pewter and features colored accents that closely resemble stained-glass windows. 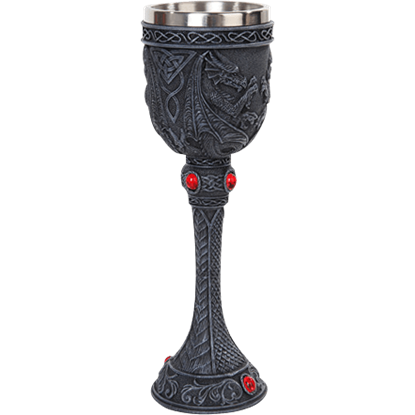 Ideal for Celtic or gothic table styles, this striking dragon glass will set any dinner display apart from the rest. 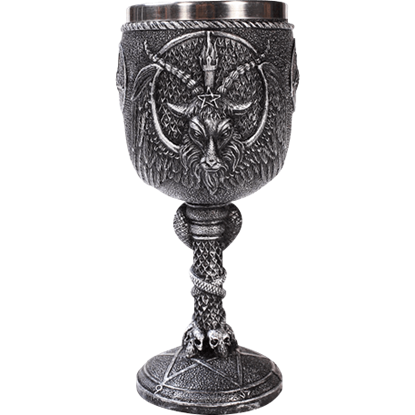 The Celtic Dragon Goblet displays dragons and various endless knot patterns along the bowl of the piece. 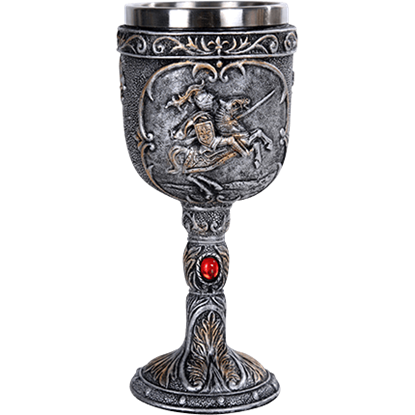 Dragons are one of the most powerful images of Celtic mythology, often being used as a heraldic symbol for the great and powerful. 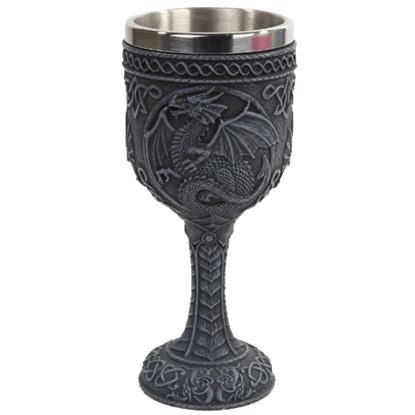 The Celtic Dragon Wine Goblet features a Celtic-style dragon with outspread wings and a barbed tail.